Offering a rigorous, fresh perspective on how technology has brought us to this place, Mechanisms of Morality challenges the long-held assumption that technology is an apolitical and amoral force. Having worked in the field of artificial intelligence for over 30 years, Smith reveals the mounting evidence that the mechanical actors in our lives have, or at least express, morals: they're just not the morals of the progressive modern society that we imagined we were moving towards. 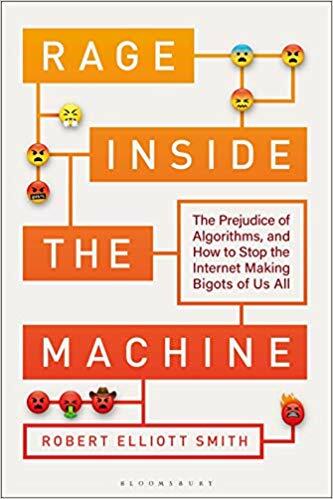 Instead, as we are just beginning to see--in the US elections and Brexit to name but a few--there are increasing incidences of machine bigotry, greed and the crass manipulation of our basest instincts. It is easy to assume that these are the result of programmer prejudices or the product of dark forces manipulating the masses through the network of the Internet. But what if there is something more fundamental and explicitly mechanical at play, something inherent within technology itself? This book demonstrates how non-scientific ideas have been encoded into our technological infrastructure. Shedding light on little-known historical stories and investigating the complex connections between scientific philosophy, institutional prejudice and technology, this book offers a new and more truly scientific vision of ourselves.